Southampton researchers ask can we reduce crime by learning how we combine our real and cyber identities? Researchers at the University of Southampton have launched a unique, international project to look at the complex nature of identity, both in the real world and online. The three year research study, which will investigate our ‘Super-Identity’, aims to tackle the issues associated with unreliable and counterfeit identification and provide a faster and more efficient way of combatting the problem. Recent findings from the National Fraud Authority (Oct 2010), which is part of the Home Office, estimate that the risks of identity fraud, and its knock-on effects, cost the UK more than £2.7 billion a year. Researchers hope the Super-Identity project, which is a collaboration between the universities of Southampton, Bath, Dundee, Kent, Leicester, Oxford, and Pacific Northwest National Laboratory (USA), will provide an enterprising and unique solution to this crime. The assumption underlying the Super-Identity project is that whilst there may be many dimensions to an individual’s identity - some more reliable than others - all should ultimately reference back to a single core identity or a 'Super-Identity'. By collating information about real-world and online identities, (such as measures of the face, walk, voice, or online browsing behaviour), the project seeks to find out how to recognise this core identity more effectively. The first stage of the project is to define the set of identity measures across a diverse demographic of the population. In light of the potential impact upon our fundamental human rights, social, legal and ethical concerns cannot be ignored. As such these aspects shall also be examined, with particular attention paid to privacy and data protection issues. Once this framework is in place, extensive testing will be conducted to determine the accuracy and reliability of automated and human identification from each measure, and from the combination of measures, in order to provide an identity decision in which you can have confidence. The £1.85 million project is funded by EPSRC under the Global Uncertainties Programme, and is supported by the United States Department of Homeland Security's Science and Technology Directorate, under its Visualization and Data Analytics Program. 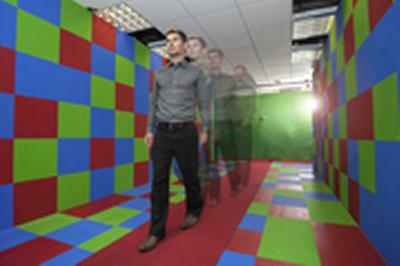 The research team includes experts from automated biometrics, psychology, forensic anthropology, human-computer interaction, mathematical modelling, complex data visualisation and IT law.